One of the favorites times of the year for sports fans is upon us: March Madness! March Madness is the time of the year when NCAA Division 1 has its conference championships in basketball, and also moves into the NCAA Tournament. It causes mania in both the women's and men's sides of the Division 1 basketball world, and millions upon millions of brackets are made each year. Everyone picks who they think will win what games, and the goal is to try to pick a perfect bracket to normally win a very large cash prize, or at the very least bragging rights. 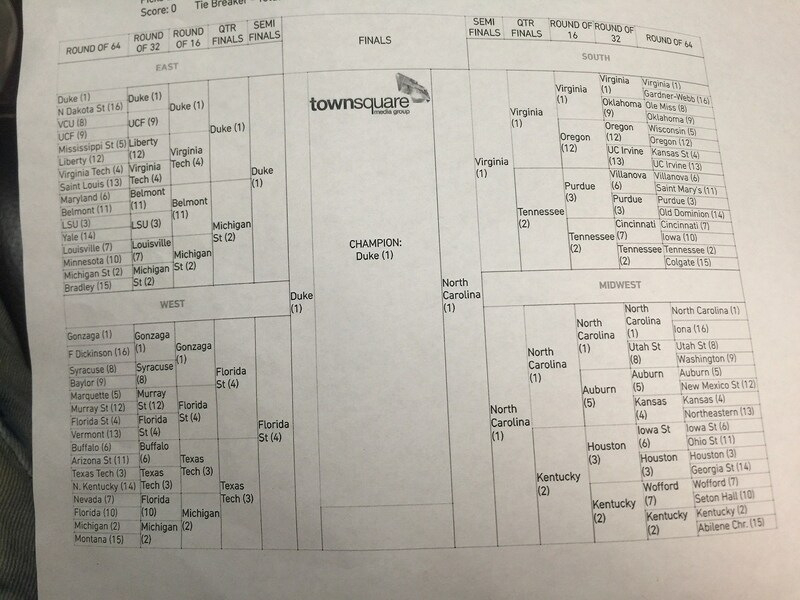 I know everyone has made their brackets! Here's mine! Y'all share your brackets, and let me know what y'all think of mine!